Here is your chance to win a wedding cake! If your wedding venue is in Somerset or North Somerset, simply purchase a raffle ticket for £10 to be in with a chance of winning. Tickets are £10 each. Only one ticket can be purchased per transaction. You can purchase more than one ticket to increase your chance of winning. Upon purchase of a raffle ticket, you will receive an email with your ticket number on it. The number of tickets to be sold for this competition is limited at 59. Ticket numbers will range from 100 to 158. To determine the winner we will use the number of the Bonus Ball from the soonest UK Lotto draw following the purchase of the 59th ticket. The Number of this Bonus Ball will have 1 subtracted from it (to give a value of 00 to 58). This value will then be matched to the last two digits of the raffle ticket numbers. For example, a number 38 Bonus Ball will make ticket number 137 the winning ticket; Ticket number 125 will need Bonus Ball number 26 to make it a winning ticket. We will alert all ticket purchasers by email when the 59th ticket has been purchased. 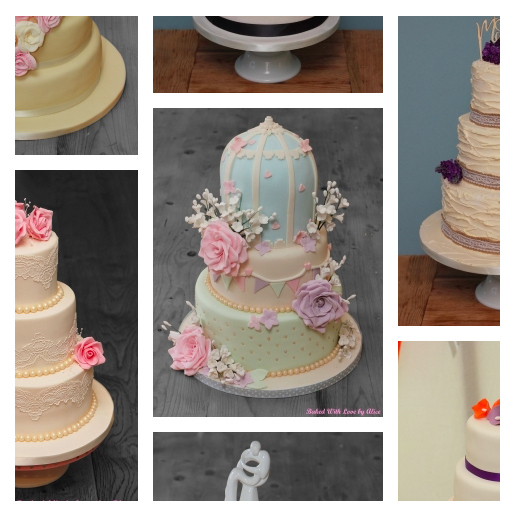 The winner can choose a wedding cake design up to the value of £500. For cake designs which exceed the value of £500, the difference must be paid by the winner. The winner has the option to attend a free consultation at our premises in Bridgwater, Somerset to discuss their wedding cake requirements. The winner’s wedding venue, to which the cake will be delivered free of charge, must be in either Somerset or North Somerset. Upon the winner being determined they will be contacted by email to discuss wedding cake design and to arrange a consultation.